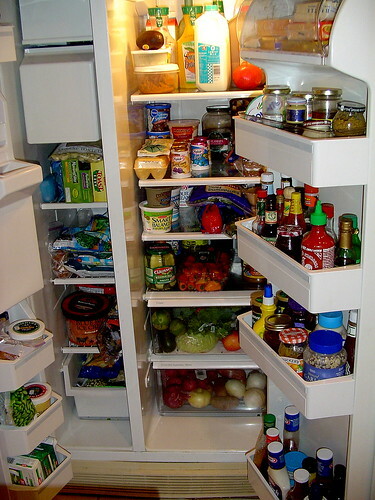 I am tired of looking in my refrigerator and feeling guilty about the amount of food in it, not to mention the amount of food I will throw away, not to mention the fact that I even have a refrigerator. As long as nothing changes every time I close that door on all that food and all that cold and all that bounty that 9 out of every 10 souls aboard this world will never taste, I should feel guilt … and shame … and not a little fear. I sometimes feel that we (well, at least “I”) treat this whole “life” like some cheap, throwaway novelty. Who cares, what the hell, no big deal, I’ll buy another. I have no doubt that the contents of my refrigerator could feed five families and still feed my own, and I’d really (truly) like to work with anyone and everyone to make that happen. This refrigerator photo is by April, who takes a lot of great photos. Check it out. The idea of putting a garden to bed is kind-of sweet and silly. Maybe those words….”putting a garden to bed”….not the actual doing of it. Not sure if other permaculturists would even agree with the idea of it. “Too much work. Let nature do it’s thing.” But, for me, the art-farmer who likes to blend a little ritual and ceremony with my doings–it seems right. It’s the season to say a grateful good-bye and appreciate the magical process of green growing plant life. And, it was a nice day to be outside. Read the rest of Putting a garden to bed after the Bioneers.